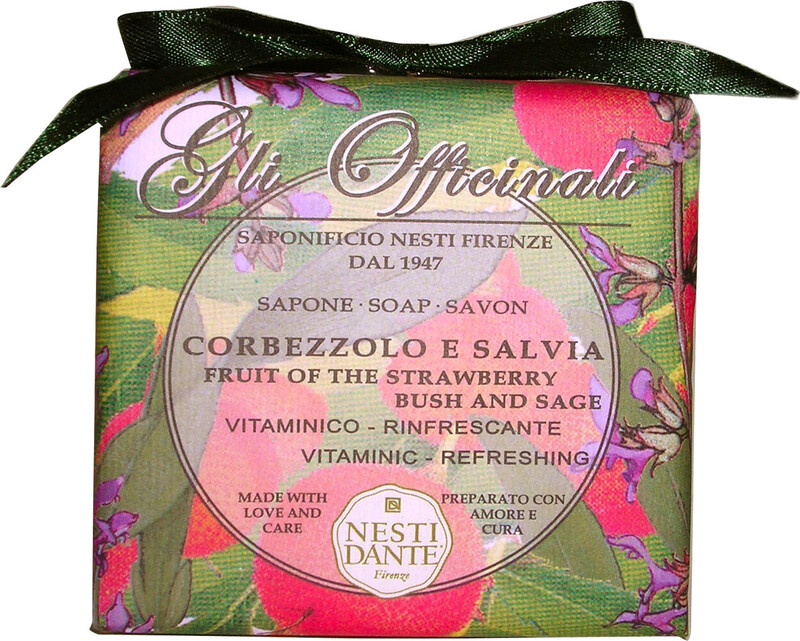 Pamper your skin with the Nesti Dante Gli Officinali Fruit of the Strawberry Bush and Sage Vegetable Soap Bar. Refreshing and revitalising, this natural soap will leave the skin feeling soft and smooth, its luxurious formula a treat your skin will love. Produced through an entirely artisan process, the soap is made through the traditional cauldron method, which ensures a rich, high quality soap. Hand-wrapped in paper adorned with enchanting floral illustrations, the luxurious soap will make your bathing routine a moment of pure joy. 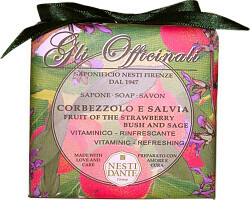 Its green and juicy combination of strawberry bush accented with aromatic sage transforms your pampering routine. Massage the soap all over damp skin and lather, then thoroughly rinse.